Due to manufacturer's restrictions we are unable to ship Silva products to Great Britain. The Silva Ninox 3 provides a great balance between a 300 lumen output and long battery life making this ideal for multi-activity adventures such as camping and hiking. "I bought this torch to replace my old one that had died on a run ! This one is fantastic, super bright on the highest setting, great for the night time trail runs, lots of different light modes/brightness and comfortable too. And an absolute bargain, very happy customer." "Fast delivery of great product"
The multi-purpose headlamp is created with Silva Intelligent Lighting Technology; engineered to provide a wide beam up close and a long reach spot light for visibility up to 75m, this headlamp is fantastic for multi-purpose activities whether you are attempting to pitch up a tent in the dark, or on a early morning winter hike. The 3, 300 lumen, LED lightbulbs offer 5 different light modes to accommodate all your needs: max, min, blink, red, and orange. The addition of red and orange modes help to preserve vision at night and highlight map contours respectively. Discharge time at maximum mode last 35 hours whilst discharge time at minimum mode last 55 hours, so you can be assured this headlamp will see you through the night and more, with the battery status indicated when the headlamp is turned off to ensure you are never caught short. The lightweight headlamp is made with a headband attachment that adjusts to every head shape this headlamp provides a comfortable fit. The Ninox 3 is fully waterproof with the ability to be submerged for up to 30 minutes at a depth of 1 metre allowing this lamp to be worn during water based activities or when the weather begins to turn. The Ninox 3 Headlamp uses 3 AAA batteries allowing you to have the choice of reusable or disposable ensuring you won't be left in the dark at any point during your activity. Allow the Ninox 3 to light the way to your next outdoor adventure. IN 1933, A MERE 14 YEARS AFTER MODERN ORIENTEERING became a competitive sport, three entrepreneurial Swedish orienteering champions invented the liquid-filled compass. Their solution was more precise and easier to use than other compasses at the time. The SILVA brand was born. 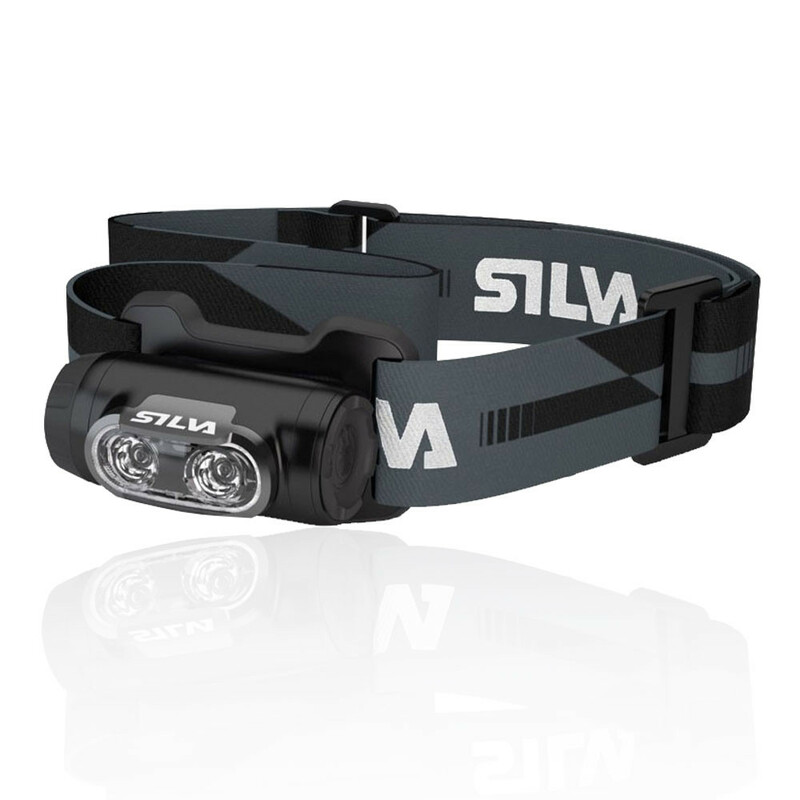 Silva also set the scene for innovation in diverse outdoor sports areas by launching their first headlamp already in 1935. Although the company has changed since then, Silva compasses remain the preferred choice for orienteers and outdoor enthusiasts around the world. Silva Intelligent Lighting Technology- Wide beam up close and long reach spot light up to 75 metres. Light Modes- Max, Min, Blink, Red, Orange. Discharge Time - 35h (max mode). Discharge Time- 55h (mind mode). Battery Indication- Shows battery status when turned off.